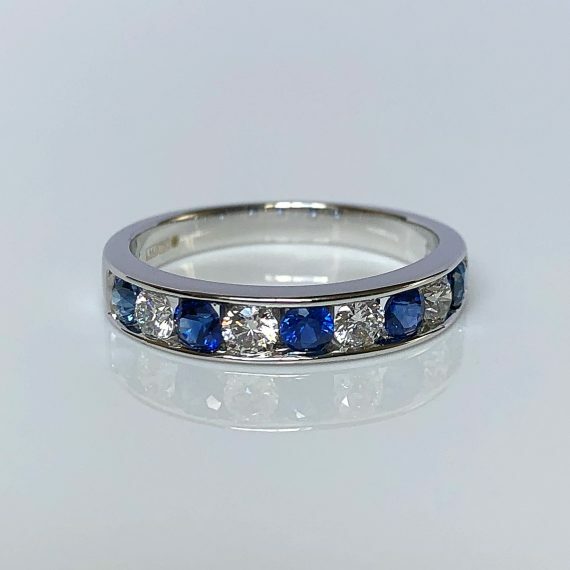 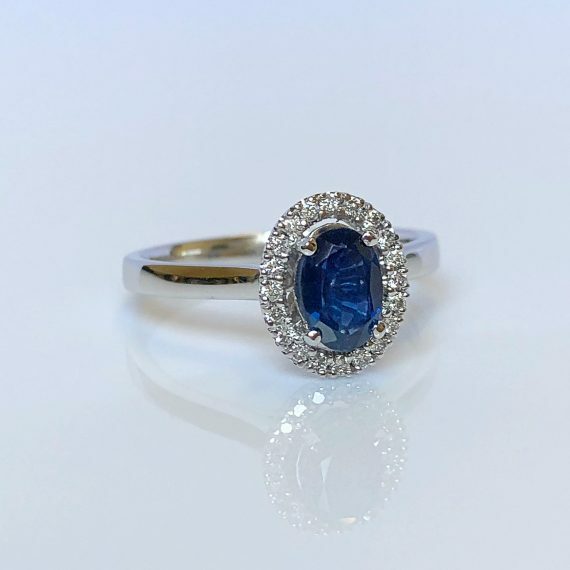 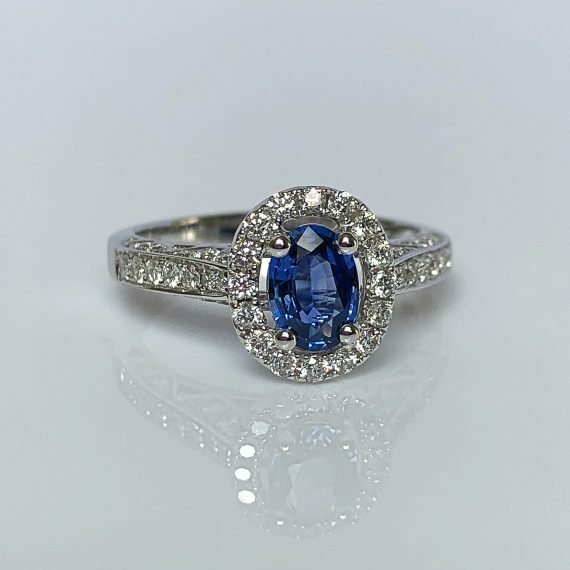 This beautiful ring is crafted in luxurious 18 carat white gold and is set with round brilliant cut diamonds contrasted by vibrant sapphires in a half eternity design. 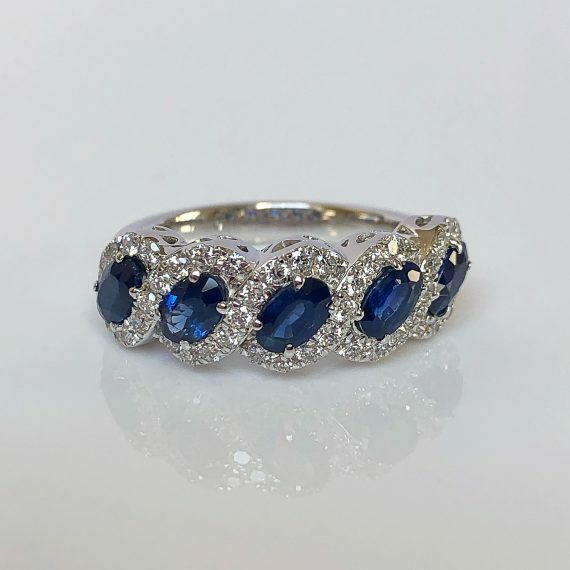 The sapphires and diamonds are set in secure claw settings with plain shoulders which merge into the band. 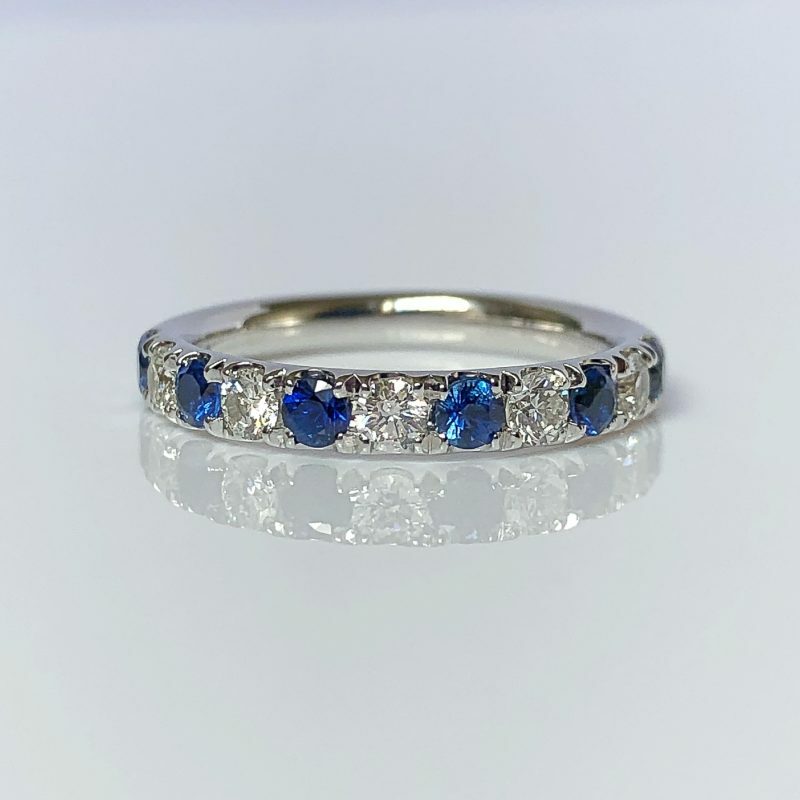 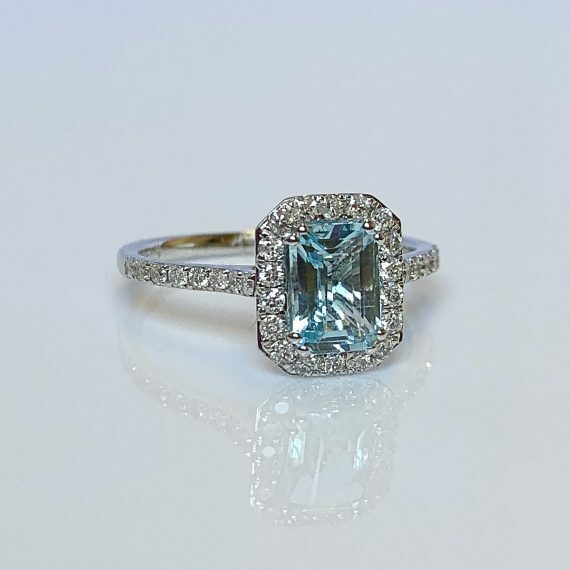 Featured ring is available from €1295.00.